Find and compare the best prices from a range of well known car rental companies at Istanbul Airport. This is a free to use facility, enabeling you to book direct with the company quoting the price. This is the new Istanbul Airport which becomes fully operational on 06/04/19, replacing Istanbul Ataturk airport. 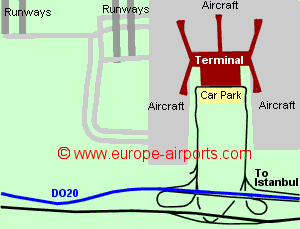 The airport has one terminal at present with a design capacity of 90 million passengers per year. 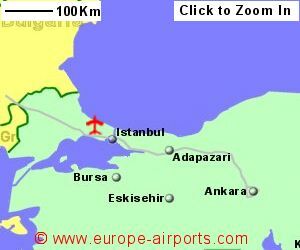 There are a large number of bus and shuttle bus services connecting the airport to Istanbul. 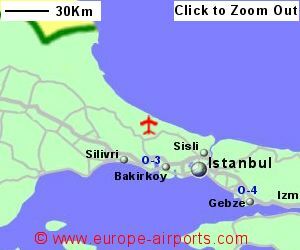 Isgtanbul Havalimi airport has 18 bars/restaurants, 28 shops, 3 banks, 14 ATMs. The 451 roomed YOTEL Istanbul Airport hotel is part of the terminal complex, and also has meeting rooms.